Before I continue let me get this out of the way and say that manning up and finally buying a CNC machine was a great idea. For the first few months that we had it we would give it a design to cut and spend the entire time watching it cut out the design, mesmerizer by how it makes the wood disappears as the bit moves by. This is very similar to the time when I bought a roomba vacuum. I would turn it on and watch it do its entire hour-long vacuum run; all the while thinking to myself how much time I’m saving by not having to vacuum manually. 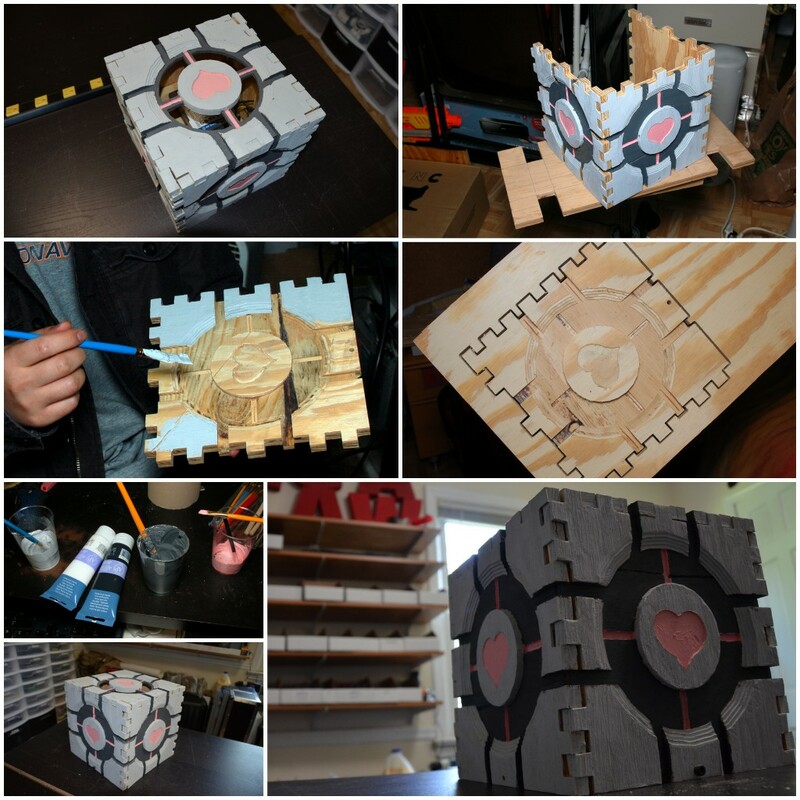 Here is a video that shows our CNC cutting out the panels of the weighted companion cube. 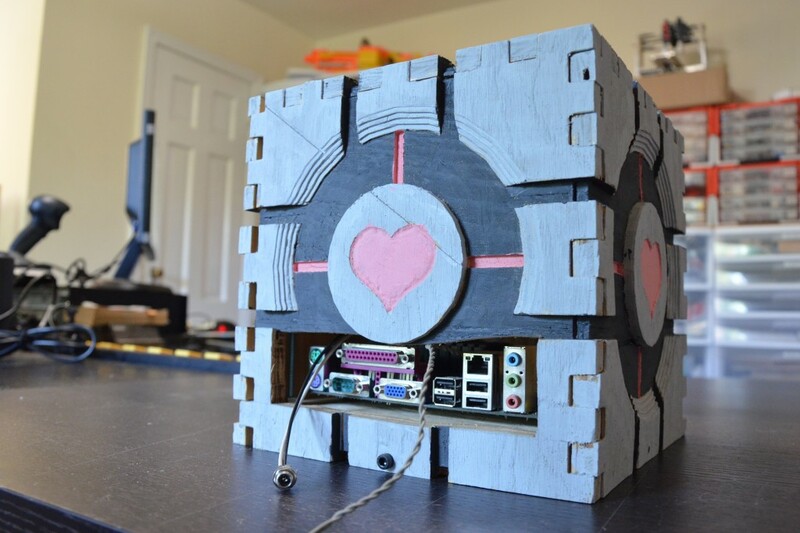 The top of the cube has sections of the wood cut out and is designed to be the exhaust port. We originally planned to put a large, 140mm, fan right beneath it but didn’t. We ran the pc without the fan installed (didn’t have it on hand) and noticed that it ran plenty cool. Turned out that there was enough open space inside the cube for the warm air to freely flow through the exhaust hole. At the back of the case we opted to cut out a rectangle for the ports. We toyed with the idea to have the CNC cut out exact holes to match every port on the motherboard. It would look better than just a rectangle hole, no argument here, but at the same time it would make it a hassle to plug things into the ports, primary because the wood around them would be so thick. We had this cube for about a year now and one of the unfortunate things that happened to it is that the wooden panel have became warped. It still looks great in real life though and definitely adds a nice touch to the room.